Okay, so the words "tank" and "shorts" don't exactly fit the classic Batman TV theme quite as well as... well, "Batman," but that doesn't mean you can't use them to make an awesome tribute to the campy 60s show that everyone loves. 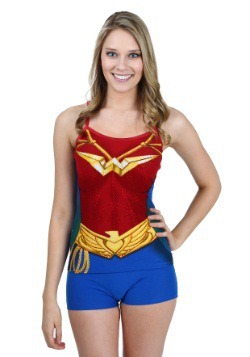 This super-cute and comfy set is the perfect gift for any gal who likes to shout "Pow!" and "Boff!" while pretending to judo-chop everyone around her. Or, if you happen to be the world's biggest fan of the Adam West version of the Dark Knight, you can just get this Womens Batman Handkerchief Tank And Shorts Set for yourself, too! 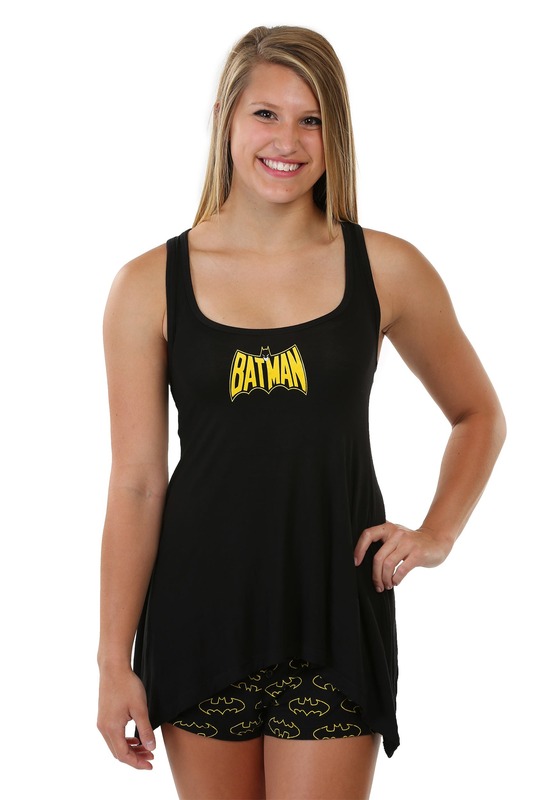 A stylish and alluring way to show your love for the classic Batman TV series, the tank features the show's iconic logo on the chest, and a handkerchief-style hemline that evokes the wings of a bat. Meanwhile, the shorts have an "all-over" print of the Caped Crusader's signature logo. 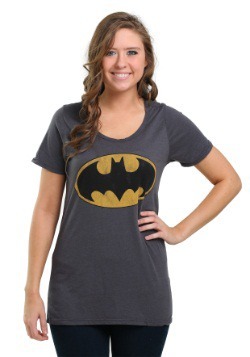 It's the perfect way for a Batman fan to lounge around the house... and, of course, watch her favorite TV show! Small - $9.99 Only 3 left! Medium - $19.99 Large - $19.99 Only 8 left! X-Large - $19.99 Only 4 left! 2X - $19.99 Only 2 left!